When was the last time you spent time in your kitchen and bake your favorite cake or midnight cookies, or experimenting recipe you read online nor offline? I have always loved baking, I remember I would popped up in my mom's kitchen when she was baking for celebration days back then but the lack of practice and time spent baking as I grown up makes it a little bit difficult to pick up with recipes and choosing the right ingredients, etc. These past couple months, I have had some time to spend in my kitchen (well, Nick's kitchen since the oven at my flat is broken and that desire to bake is irresistible). 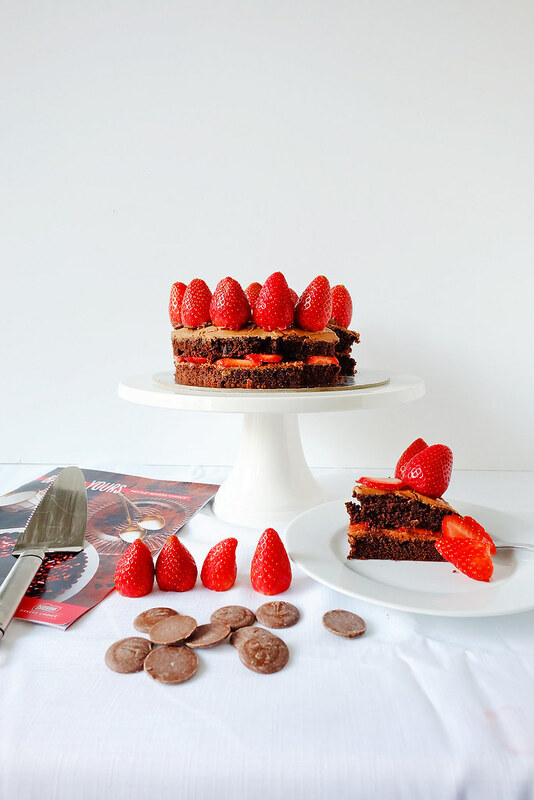 The joy of baking can switch on your mood, like eating a bar of chocolate. In this opportunity, I am lucky enough to partner up with Nestle Australia to bring you their new look, new taste and improved performance of NESTLE BAKERS' Choice range. 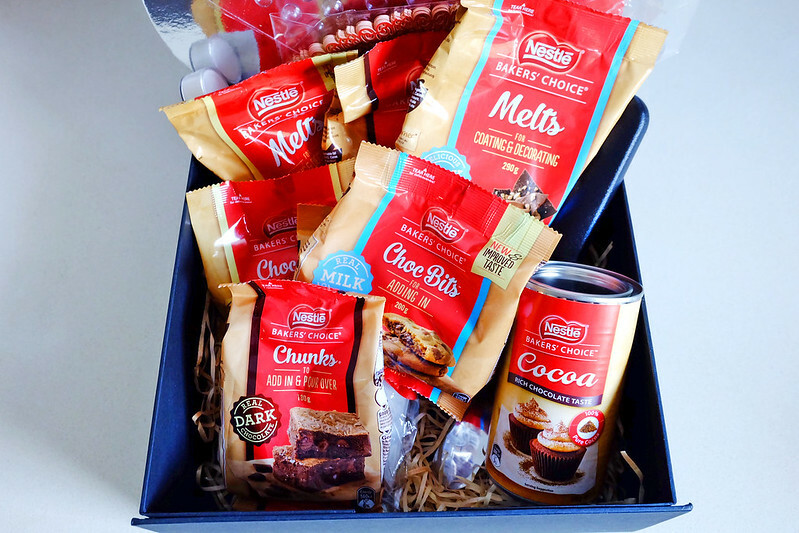 Nestle Bakers' Choice has re-launch their range of Melts, Choc Bits, Chunks an Cocoa Powder that will absolutely whipped your creations up to another level. 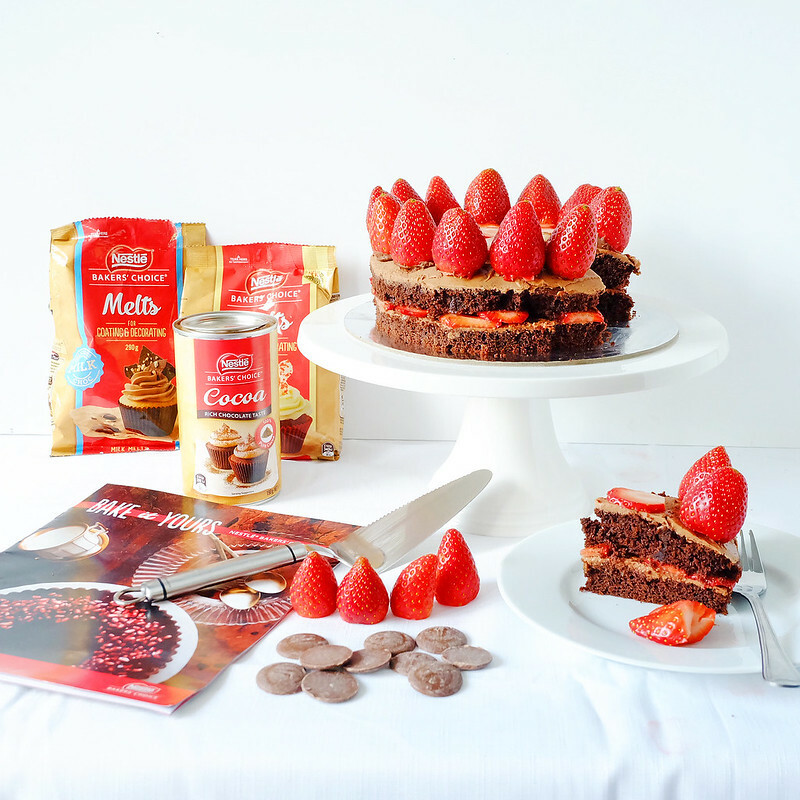 I decided to do some recipes out of these four products and as the starter of my #InTheKitchenWithNestle with #NestleBakersChoice #BakeItYours series on The Pink Frame, meet my Chocolate Cake with Chocolate Buttercream and Strawberries. 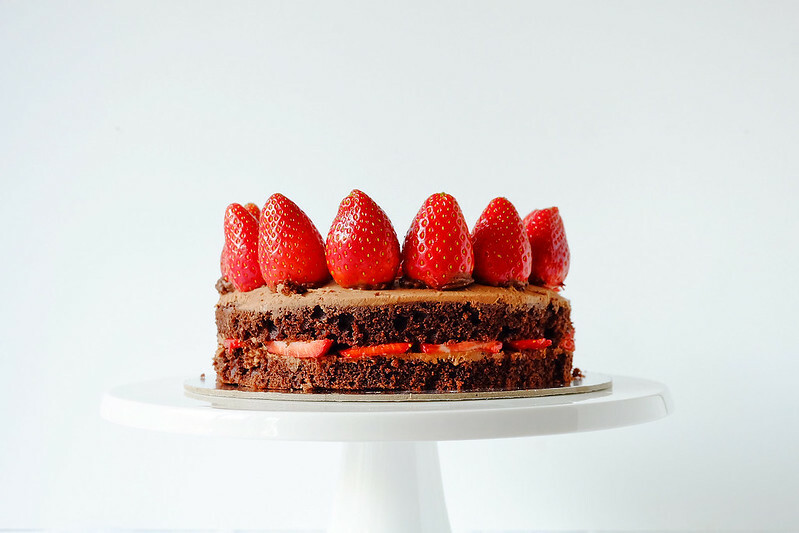 Chocolate Cake with Chocolate Buttercream and Strawberries. Preheat oven to 180°C. 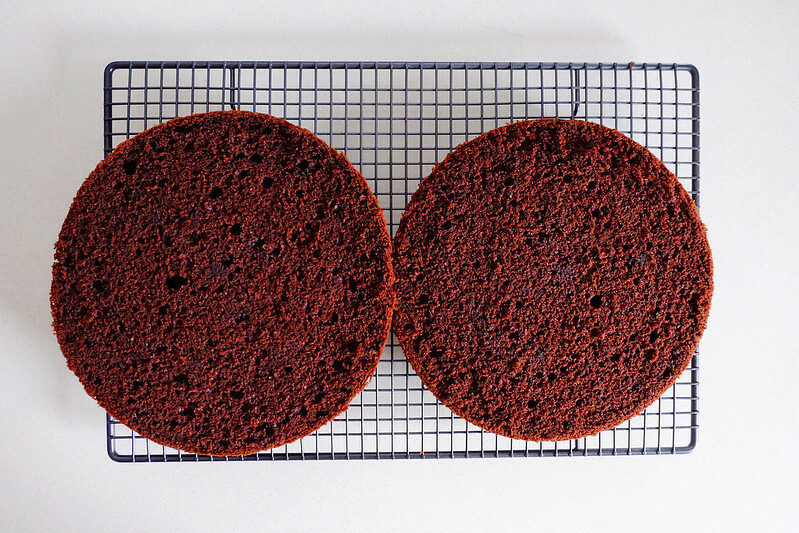 Line a 20cm deep round cake tin, lightly sprayed with cooking spray. In a bowl, sifted together flour, cocoa powder, salt, baking powder. This will help to avoid any lumps in your cake mixture. In another bowl, beat sugar and butter until light and creamy. Then beat in the NESTLE BAKERS' CHOICE Dark CHUNKS. Still beating, add in half dry mixture along with one egg to the butter mixture then add the rest of the dry mixture and egg. Add in splash of milk and fold together until combine. Remove from the tin and cool on a cooling rack. While you bake the cake.... Let's prepare the buttercream icing. Melt together the NESTLE BAKERS' CHOICE Melts Milk Chocolate and Butter. In this step, I choose to melt my chocolate in a shimmering water. Melting chocolate is a crucial part in baking, here's a guidance in melting chocolate : HOW TO MELT CHOCOLATE. Allow your icing mixture to cool. If it's still runny, chill in the fridge until spreading consistency. Cut the cake into horizontal half. 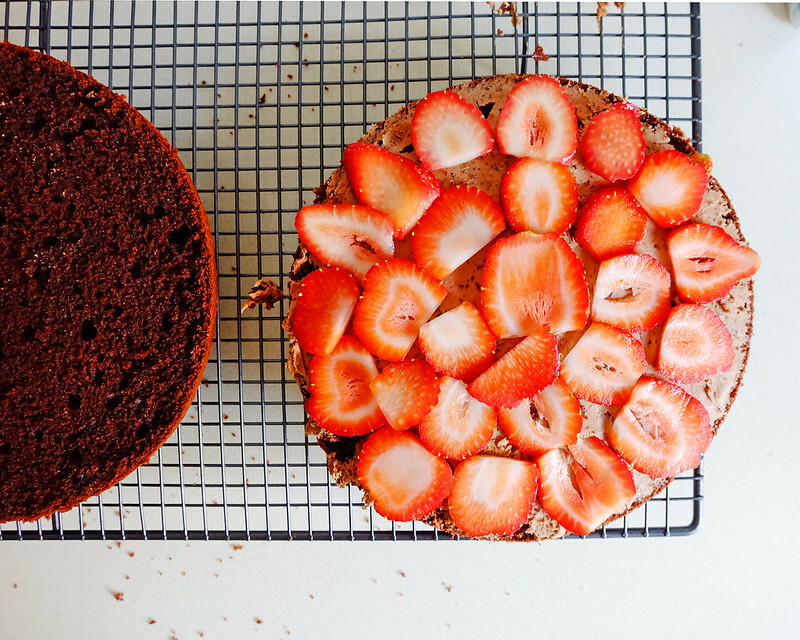 Spread the chocolate buttercream icing and put some sliced strawberries then sandwich the cake together. NESTLE BAKERS' CHOICE Dark CHUNKS gives extra texture and richness in the cake alongside NESTLE Baking COCOA. You'll find extra chocolate chunks while eating the cake itself. On the Icing, NESTLE BAKERS' CHOICE Melt Milk Chocolate melts easily and help you find your meets in making your cake's icing. 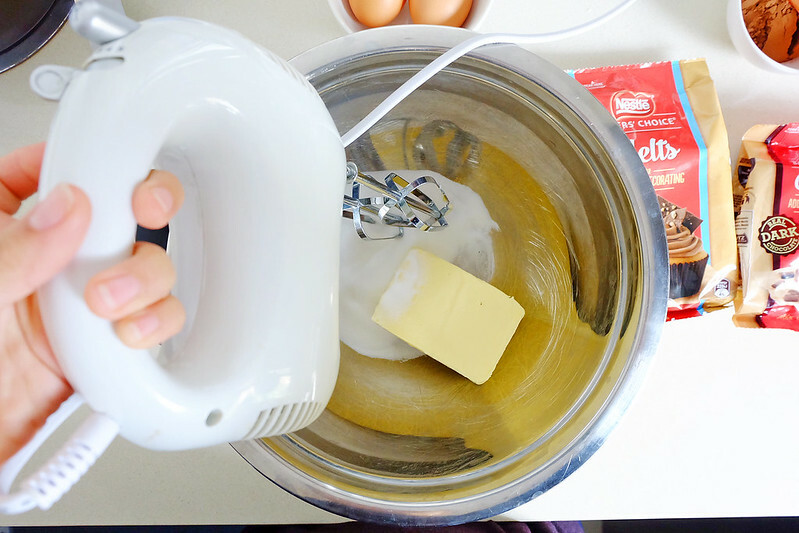 Have you had any idea in mind to jump in your kitchen and start baking? 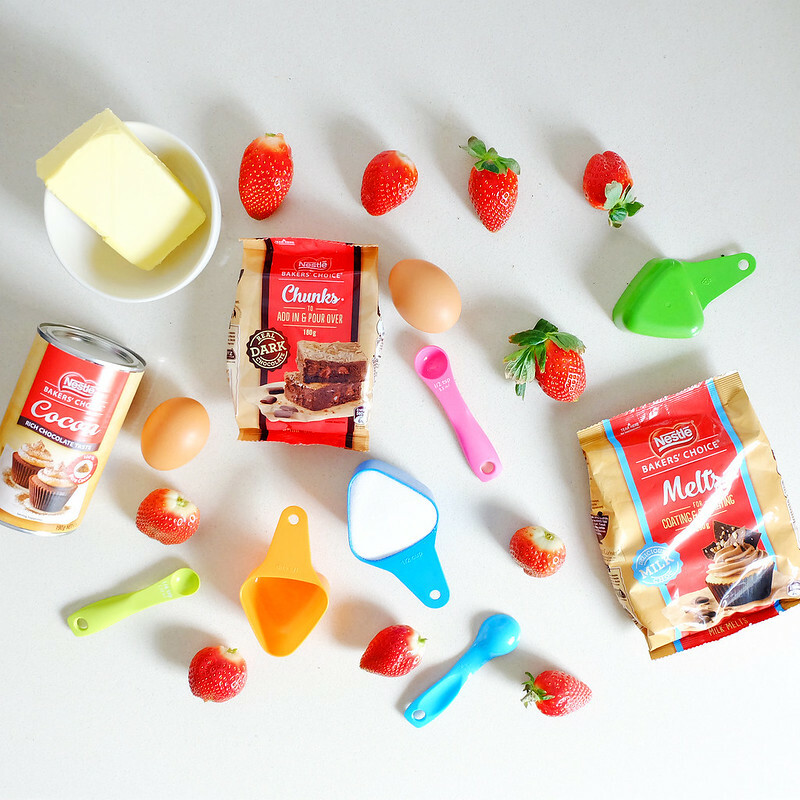 Do not worry if you can not decide what to bake. 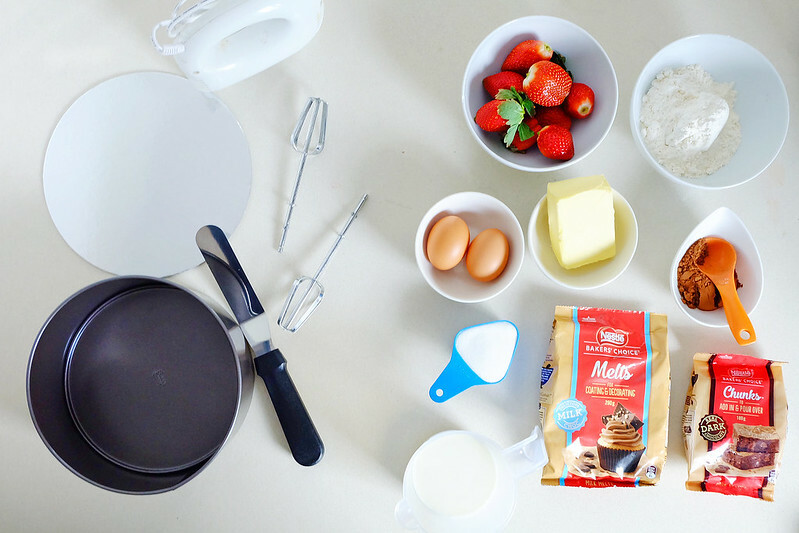 Head to Nestle's Bakers Corner to find the best recipe that would suit your indulgence. 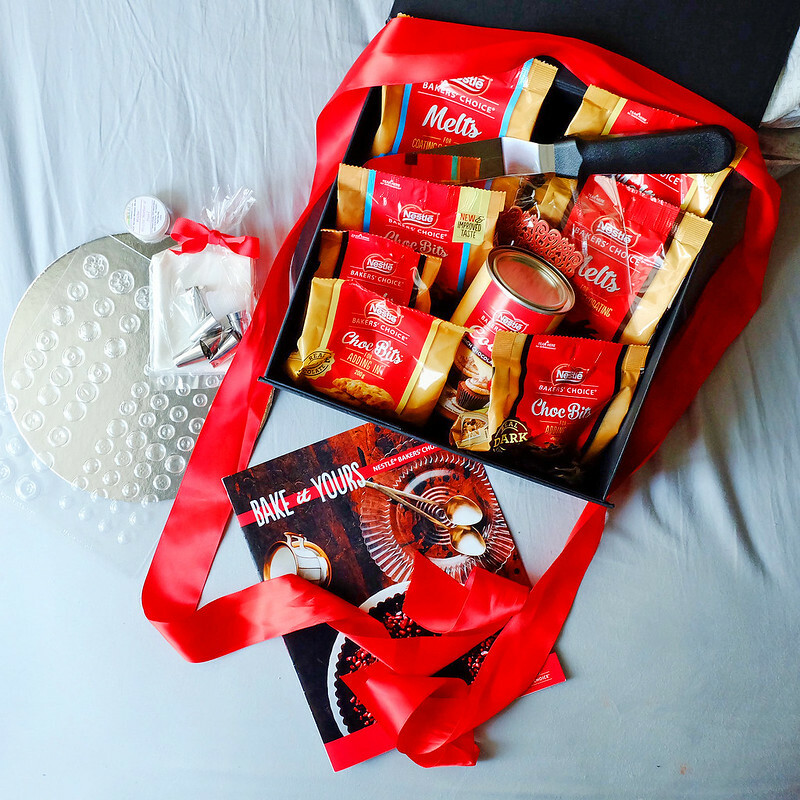 Tag #BakeItYours to be included in the running of Nestle' Giveaway on Instagram.